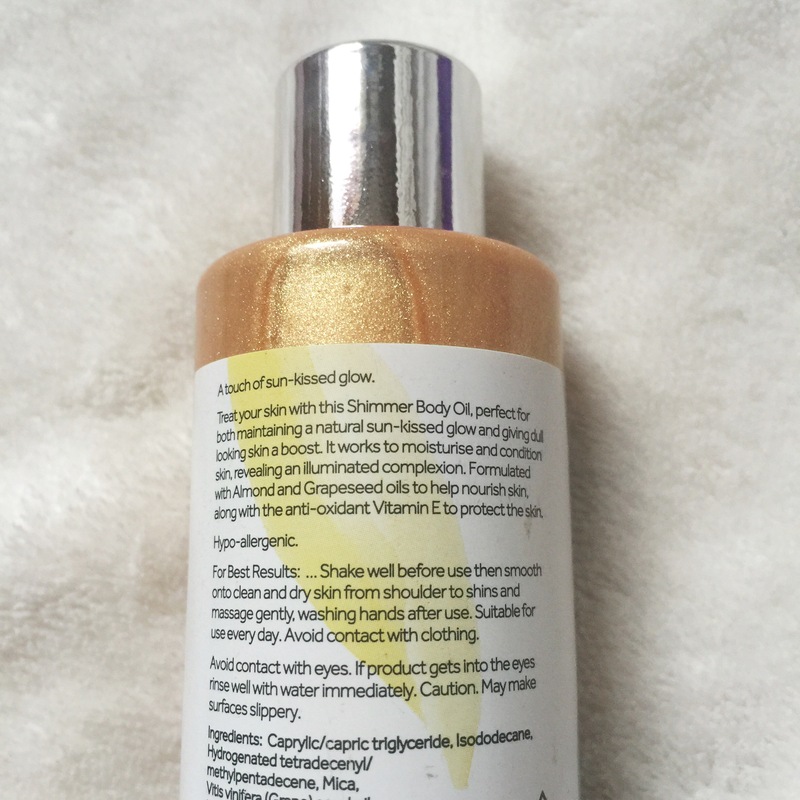 I picked up this beautiful shimmer body oil from Boots for £10. It is very similar to the Bodyshop one, which I have yet to purchase but hope to do so! I figured this one would be great for taking on holiday as it was in a plastic bottle rather than a glass bottle like many other oil. I have been wanting to try this out for ages but as it seems we have had all our hot weather I will be saving a proper review until I am in Greece and can use it everyday while I am tanned. Above you can see how it comes out of the bottle, it is very golden and very pigmented. But once it is rubbed in it is very subtle but you can see the glow and how radiant your skin has become. I like the fact that as the consistency is quite think it doesn’t just pour out of the bottle and go everywhere. It pretty much stayed put on my arm until I rubbed it in. It smells so nice and spa like, this will be perfect for the summer! Stay tuned for a full review sometime in August once we have had some sun!